Wohl Italien 19. Jh. Ziegelfarbene Terrakotta. Je 2-tlg. Rechteckige Sockel. Vasen mit quadratischer Plinthe, konischem Rundfuß sowie kelchförmigem Korpus mit Henkeln und umlaufenden Weinranken. Guter, originaler Zustand. Witterungsspuren. H. 55, B. 46, T. 46 cm (Vase), H. 48,5, B. 32, T. 32 cm (Sockel). 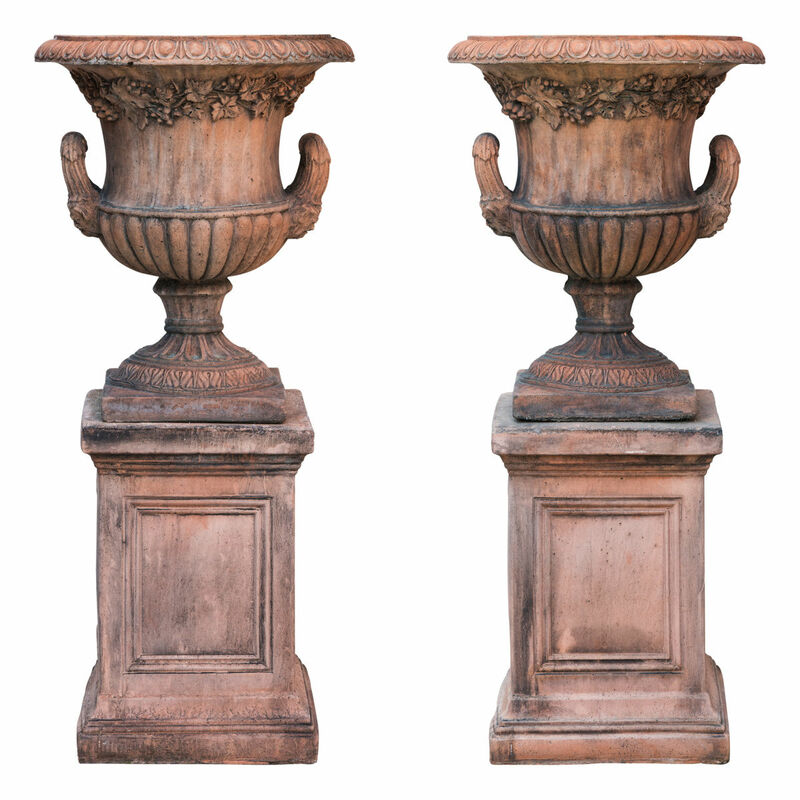 Pair of Medici vases on bases with vine leaf decoration. Probably Italy 19th C. Brick-coloured terracotta. Two pieces each. Rectangular bases. 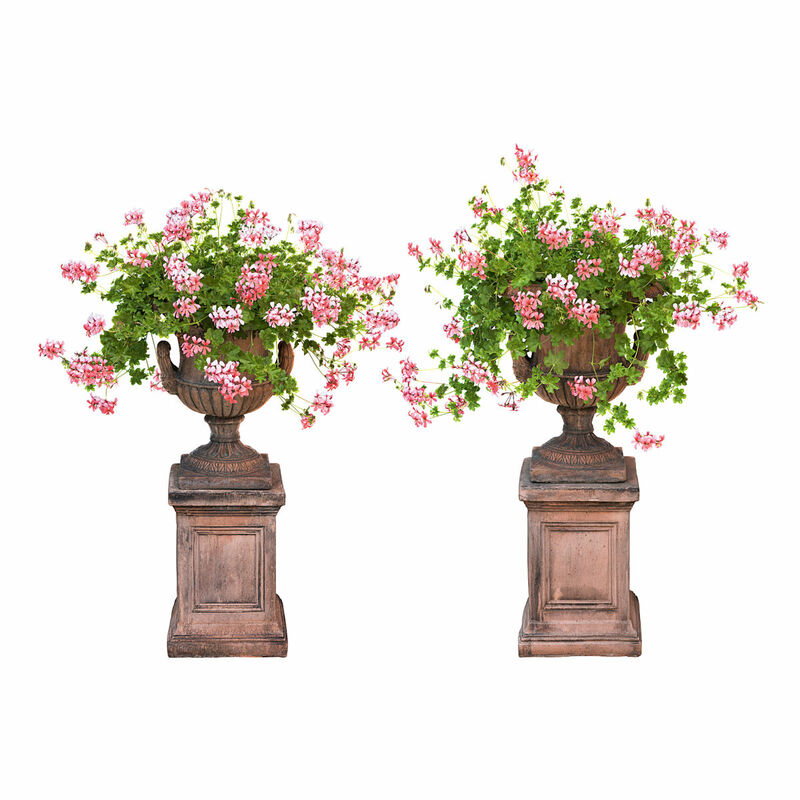 Vases with square plinth, conical round base and cup-shaped body with handles and all-round vine tendrils. Good original condition. Weathering. H 55, W 46, D 46 cm (vase), H 48,5, W 32, D 32 cm (base).